So as a family we are undertaking a challenge that I initiated last year – cycling to Paris. Not on one of these organised rides, which put as much in the hands of the organising companies as they do the charities, but self-supported. 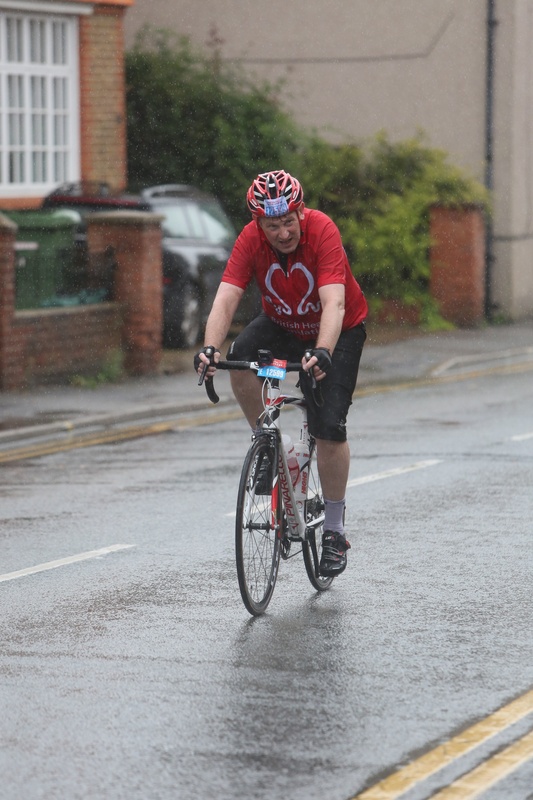 This got added to when I got a place in the RideLondon ballot, so here are some reflections following the first leg of the challenge. At the start of the year I put together a training plan to prepare for a 100 mile ride on August 10th and then four days in the saddle starting on 23rd August. Working Monday to Friday meant being constrained to riding at the weekend and one or two sessions in the gym during the week. The training has almost gone to plan – though given the weather we’ve had this summer most of the rides have been in good weather and, when it has rained, we’ve seemed to miss the worst of it. So, it came to Sunday 10th August and an earlier start than any in my training – up at 4.45, dropped off in east London around 6am and a short cycle over to the Olympic Park, grey and overcast but at that point dry. At the start I got to hear that the route had been reduced to 86 miles, missing out Leith Hill and Box Hill, given the weather forecast and the prediction of encountering the remnants of hurricane Bertha. I had mixed feelings, I hadn’t felt intimidated by the hills but also knew that while my climbing had improved as a result of my training the thought of doing a couple of hills after over 50 miles in my legs was not the most enticing. Anyway, we got off at the appointed time of 7.10 with a good run through London, over Chiswick bridge and the first drops of rain but fairly straightforward all the way to Hampton Court by 8,20 and then out into Surrey with the rain starting to fall. What followed I described as apocalyptic, I think Chris Boardman later described it as ‘torrential, then Biblical, then horrendous’. One cyclist said to me that he’d been cycling for many years but had never ridden in anything like it. The roads of Surrey turned into rivers, while ascending to Newlands corner was the toughest bit physically for me, going up against the current as it were, some of the descents were almost nightmarish, with brakes almost useless and so much water on the surface that I was surprised there weren’t more crashes. I had taken my sunglasses off when the rain had got reasonably heavy, as I couldn’t see through them, but at some point in the Surrey countryside with my eyes stinging from the pounding of water I tried putting them back on – not a good idea! Not only could I not see through the lenses but the amount of water falling was still managing to hit my eyes behind my glasses. At some point I also realised that if I’d jumped in a river with my clothes on I would be no wetter than I was. Nothing I’d done or planned had prepared me for this specific set of circumstances, thankfully the miles I’d put in through the year had prepared me physically and I finally came home in 4 hours 53 minutes. However, getting to the finish line was not the last of the lessons in planning and communication to take from this day. The previous day I had discussed meeting up with my wife and had explicitly agreed on going to the meet and greet site in Green Park, she was aiming to be there with my two sons. I’d also said that I expected to be back some time after 1pm – before the course had been shortened. When I’d heard the course had been shortened I text all of them to say they taken out the hills and the course was reduced to 86 miles – I assumed that they would compute this into an earlier arrival time (‘assume’ – hah hah!). So I crossed the line just after noon got my phone out only to find that despite me thinking it was protected it was kaput from the water! I was fairly sanguine about it, after all I’d got round and so made my way through the goody bag area and round to the meet and greet area – only to find no family and with no working phone not straightforward to get hold of them. So, I thought, the sensible thing to do was stick with the agreement and wait at the appointed place, however, cold and wet I felt. It turned out that the boys had pitched up at the finishing line around 12.30 then called their mum, who arrived 10 mins later and suggested they wait at the finish line, where they could applaud me. They stayed there for two hours applauding an assortment of folks over the finish line, while eventually, in Green Park I encountered a friend whose phone I borrowed (many thanks Lisa), only to get her voicemail, so I left a voicemail and tootled off back on my bike to Fulham. The family ultimately got the message and came back – I wasn’t too grumpy, probably from the sense of achievement.